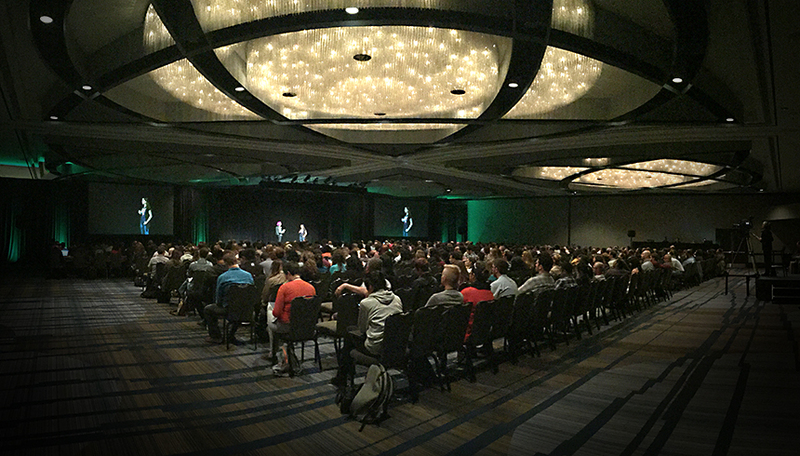 Come read out my experience on the UX Week 2015 in San Francisco, including how approaching projects from different perspectives can make a big difference. Each year, those in the design and development industry gather for UX Week, an event chock-full of inspiration and insights. This year, I attended the conference for the first time, and I’d like to share the knowledge and insights I learned from the workshops I participated in. One of the workshops I attended was lead by Ben Reason, Livework senior service designer. The workshop, titled “Humans, Consumers, Customers and Users,” dealt with the different perspectives involved in the overall UX, including the customer experience, user experience and beyond. I learned in that workshop that experience is important for challenges ranging from a detailed adjustment of a specific part of a service to a radical overhaul of the entire offering. Different models and approaches are required to address these disparate challenges and not get lost in confusion. Reason noted that with every creation, one should analyze four distinctive experiences – human, consumer, customer and user – to determine what each individual might take away from a story or product. As a human, we tell the story based on our needs in life. As consumers, we focus on the choices in market. As customers, our perspective is based on the expectations we have from a service or product, and finally, as a user, we focus on the ease of completing a task. 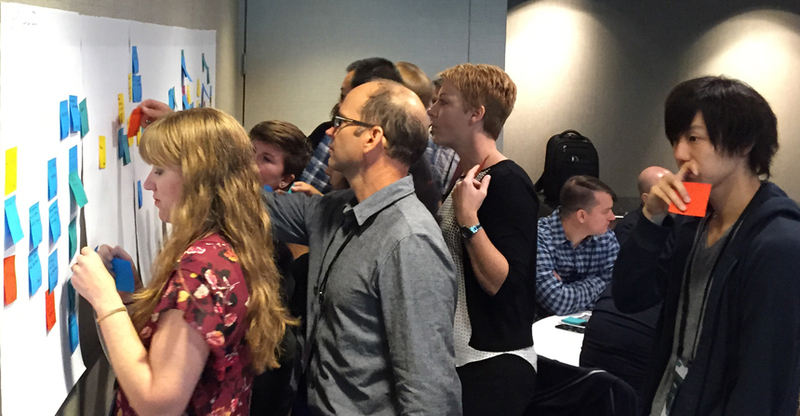 UX Week, which took place on Aug. 25 through the 28 in San Francisco, included a variety of professionals eager to network and share their experience and knowledge with one another. There were designers and developers from all corners of the globe – I met people from Japan, Finland, the United Kingdom, India and Colombia. The hotel at which the event was hosted, the Hyatt Regency, offered a number of eating options throughout the event, as well as common areas equipped with outlets for charging mobile devices. When examined through the lens of the consumer, I found the event to be exceptional – conferences and workshops were hosted at a 5-star establishment and offered a range of options for attendees. But this, of course was not the main reason for attending the event. Being renowned for its 13 years of experience did. As a customer, I noticed that the event was surely not lacking when it came to variety. Discussions and workshops involved organizations and professionals from a range of industries, including health care, gaming, animation, music, psychology, science, architecture and design. Over the course of the event, I attended four workshops, which covered topics like information architecture, mapping the user experience and improving soft skills. These workshops merged together teachers and participants that appreciate working in teams. The result of this was an intensive experience – I worked with people I had never met before, and we collaborated to solve the problems before us. With the proper coaching from workshop teachers, we were able to learn from our team mates, as well as from other teams. I also enjoyed the extra activity offered each day, including games like “Solve the city” and a happy hour for attendees in the park for the attendees with food trucks and drinks. From a user’s perspective, the environment was well designed and laid out, enabling us to easily move about the hotel to participate in different workshops. The event was timed and coordinated very well, with activities beginning and ending as scheduled. I also enjoyed the accompanying mobile app, where participants were able to receive notifications, access reminders and news about the event, and share their own insights. Not only were users able to connect with other attendees and speakers, but ask real time questions to speakers and have their answers also in real time throughout the conference. I found UX Week 2015 to be enlightening and valuable to my skills within the UX community. The conference was held in a location that benefited the organization of the event and appealed to those in attendance. The workshops, lead by some of the industry’s most prominent experts, were interesting and enjoyable to participate in, and offered new points of view on some of the top emerging trends. I, along with the other participants, were offered numerous opportunities to network and learn from one another. I especially appreciated the use of beam technology – I was even able to get my photo taken with UX expert Steve Krug! Overall, my expectations were exceeded. By ensuring that UX is a main aspect of the project throughout, organizations can be sure that they are providing their users with a usable product that will offer real value.